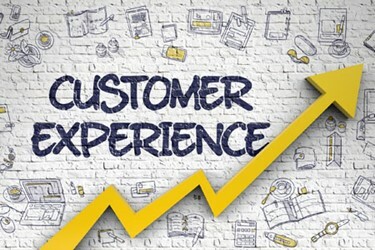 As a service organization working to optimize the customer experience, you need to be thinking about ways you can make your company’s service delivery a seamless experience for your customers. What does seamless service mean? Seamless service removes all potential frustration points for customers – it makes the service experience feel almost invisible to them. Customers should never have to work too hard to communicate with your company, to have their needs fulfilled, or to provide feedback. In working to achieve the delivery of seamless service, here are six tips to consider. If your customer prefers to call your company, does someone informed answer quickly? If your customer likes online scheduling, can they book and confirm an appointment through your website? If your customer reaches out on social media, will their message be noticed and replied to in a timely manner? Do you offer an app that allows your customers to interact with your company? There’s no “one-size-fits-all” method of communication – your customers are going to have varying preferences for how they want to interact with your company, and the onus is on you to meet those needs. The days of expecting all customers to communicate with your organization in one – or even two – ways are over. In the information age, a customer that schedules an appointment with your company online and hears nothing leading up to that appointment may very well wonder if someone is even going to show up. When we order from Amazon, we get an email confirmation and a shipment notification. When we use Uber, we have real-time visibility of our driver’s location and arrival time. There are degrees of good when it comes to how much and how well you can communicate with customers leading up to a service appointment, but know that no communication whatsoever leaves customers guessing and detracts from the seamless experience. At a minimum, you want to provide confirmation of the appointment both when booked and the day of. It’s great if you can also provide data on the service technician who will be handling the appointment, and ideally you provide your customers real-time visibility into when the technician will be arriving and what to expect. Everyone’s time is valuable. There’s nothing more frustrating for your customers than sitting around waiting for a service technician to arrive. This is where real-time visibility prior to the appointment is helpful – you can manage expectations on arrival time in advance to avoid higher degrees of frustration. Nonetheless, it’s imperative that you put measures in place to keep to arrival times as a rule – and communicate proactively on the exceptions. If there’s anything more frustrating than a service technician who’s late, it’s one who arrives with no clue how to resolve the issue at hand. Technician preparedness should be a given in today’s service landscape. Your service technicians should arrive on site not only knowing what they are there to do, and how to do it, but also with enough knowledge and empowerment to make relevant suggestions to your customers as opportunities arise (for example: your HVAC unit needs this adjustment today, but I also notice that this part is nearing end of life. Would you like me to replace it for you while I’m here?). When delivered appropriately, suggestions can improve customer satisfaction and loyalty. Your service technicians should have full customer history and back-office visibility while on site. If a customer asks a question, the service technician should be able to quickly and easily retrieve an answer. “I don’t know” is not an acceptable response. Not only do you need to arm your service technicians with customer history and back-office visibility while they’re in the field; you need to ensure that there is company-wide visibility among departments and functions. If a customer calls customer service with an issue and customer service provides insight or even worse promises something, then the field technician has no idea that conversation took place, customer frustration is sure to ensue. You need to ensure that all customer interactions, no matter how small, are tracked, stored, and accessible by all employees. An important part of seamless service is a continuous, smooth experience from initial sale through the life of the relationship. To excel at seamless service, you have to be asking for feedback. This request should happen immediately upon the end of the service experience, so that the appointment is fresh in the customer’s mind and so they are more likely to reply. Asking for quick rating feedback, like NPS, is good because a higher percentage of customers will be willing to give a quick rank. However, asking for more in-depth feedback is important too, because this gives customers an opportunity to share more of their thoughts. Most commonly, those that aren’t completely satisfied will provide more insight. This is where closing the feedback loop comes in to play – you need to have measures in place to ensure that feedback, particularly negative, is acknowledged immediately, follow up on, and incorporated back into your company’s decision-making and performance improvement processes. Leaving customers hanging who have given even minutes of their time to provide your company valuable feedback is offensive.